Many avid readers of youth fiction would be aware of the website, Inside a Dog, a website provided by the State Library of Victoria that is all about books – by young people for young people. It draws its name from the famous Marx quote (Groucho not Karl): ‘Outside of a dog, a book is a man’s best friend. 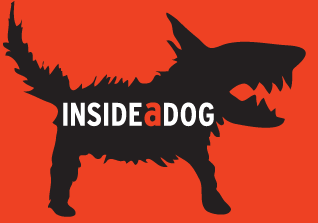 Inside a dog, it’s too dark to read’ and features Inky the dog as the site’s mascot. 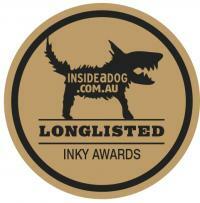 Since 2007 Inside a Dog has been hosting The Inky Awards – ‘Awards that recognise high-quality young adult literature, with the longlist and shortlist selected by young adults, and the winners voted for online by the teen readers.’ The awards are separated into two categories; Gold and Silver, for an Australian book and an international book respectively. Last week the first longlist was released, featuring some great YA titles including Garth Nix’s latest fantasy installment Clariel, and The Impossible Knife of Memory by Laurie Halse Anderson, bringing awareness of PTSD to a younger audience. You can see the full list here. A shortlist is announced in August with the winners celebrated in October. This entry was posted in books, youth and tagged Inky awards, youth by Symon. Bookmark the permalink.